Australia's plans to protect the Great Barrier Reef are inadequate, short-sighted and will not prevent its decline, the country's pre-eminent grouping of natural scientists said Tuesday. The draft plan, released for consultation last month, was supposed to allay concerns by the United Nations about the reef's health after UNESCO threatened to put it on the World Heritage "in danger" list. Environment Minister Greg Hunt has said the proposal reflects an effort to balance the priorities of protecting the reef, which is teeming with marine life, and long-term sustainable development. But the Australian Academy of Science warned that the plan ignored the impact of climate change and failed to address problems with poor water quality, coastal development and fishing. 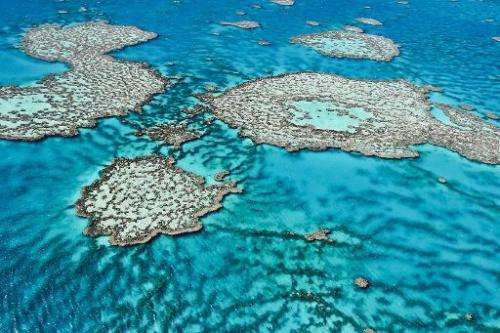 "The science is clear, the reef is degraded and its condition is worsening. This is a plan that won't restore the reef, it won't even maintain it in its already diminished state," academy fellow Terry Hughes said. "The plan also seems overly focused on the short-term task of addressing UNESCO's concerns about the reef's World Heritage Listing, rather than the longer-term challenges of restoring the values of the reef." Hughes said while the plan identified targets for reducing harmful agricultural run-off, any improvements would likely be lost in the unprecedented amount of dredging for coal ports and the Queensland state government's plans to double agricultural production by 2040. 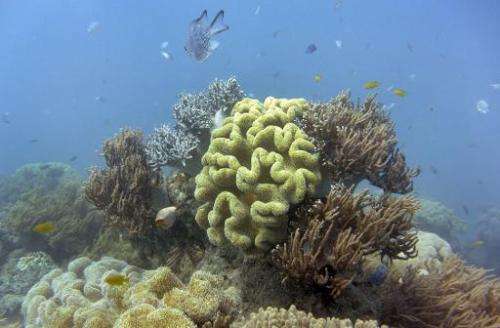 The survival of the reef depended on a reduction in pollution from run-off and dredging, less fishing and a decrease in carbon emissions from fossil fuels, he said. A spokesman for Minister Hunt said the "Reef 2050 Long-Term Sustainability Plan" states the government's vision to improve the health of the reef over successive decades. "We note the Academy is calling for such a vision, and it is front and centre of what we are working to achieve," he said. He said the plan acknowledged that climate change was a global problem requiring global action, and was being addressed by the government through other policies. The draft, prepared by the Australian and Queensland governments, calls for greater coordination between authorities in relation to the reef, a proposal welcomed by environmentalists. It also urges a 10-year ban on dredging to develop new ports or to expand existing ones both inside and next to the World Heritage site—apart from in priority port development areas. 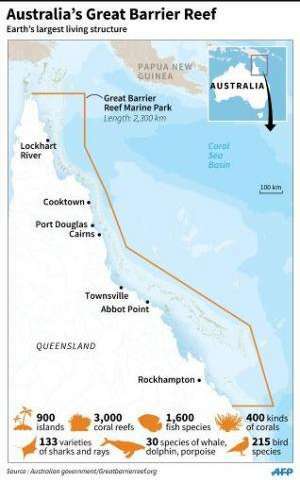 And it bans future port developments in the Fitzroy Delta, Keppel Bay and North Curtis Island near Rockhampton—areas of the reef described by environmentalists as key incubators of marine life. But environmentalists have criticised the draft as not setting high enough targets for cutting agricultural pollution or providing the billions of dollars required to restore the health of the reef. With the government's final reef plan due in December, WWF-Australia and the Australian Marine Conservation Society called for stronger action to protect the major tourist attraction. "The reef is one of the world's great natural wonders and we cannot allow it to be turned into an industrial park and a shipping super-highway," campaigner Felicity Wishart said. The colourful coral faces a number of pressures including climate change, poor water quality from land-based runoff, the crown-of-thorns starfish, which eat coral, and the impacts of coastal development and fishing.